Now, in the middle of my 12-Day Fast, I want to share about a major breakthrough the Lord took me through in the first 3 days. 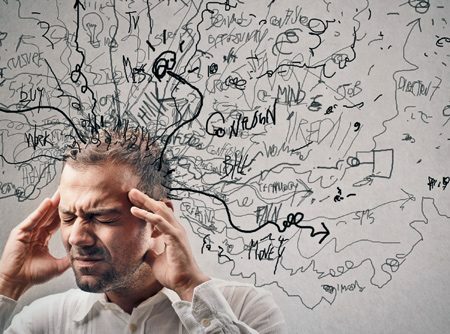 If you have felt harassed in your mind by clouded vision, detached thoughts, lack of focus or concentration, feelings of being mentally overwhelmed, or an inability to make clear decisions, you may be under the influence of a principality that is fighting for supremacy over this nation – one person at a time. When a principality is over a region or even a nation, everyone under that principality will be subjected to it’s influence, one way or another. The Spirit of Divination over Samaria caused the entire city to be spiritually blind due to the sorcery of Simon (Acts 8:9-11). The Spirit of Sexual Perversion in Sodom and Gomorrah infected Lot and compromised his faith in God (Genesis 19:6-8). The Spirit of Unbelief in Nazareth prevented even Jesus from performing many miracles there because of the rampant lack of faith (Matthew 13:58). Though many prophetic words have already been given about Leviathan operating in this nation, we are still feeling the effects of its influence – specifically in harassing the mind and causing confusion. Because Leviathan is a twisting snake (Isaiah 27:1) that seeks to contort and confuse God’s character and purposes, he goes after the believers’ ability to hear God’s voice and discern the Spirit. He will rob us of our peace of mind knowing that the doubt will eventually weaken our faith and immobilize us in our assignment. Miscommunication – Leviathan will twist and confuse communications at every level, especially in relationships that have divine purpose. Whether it’s in emails, twitters, phone conversations, or face-to-face encounters, comments will be misconstrued and your intentions misunderstood. “But, he said…”, “I can’t believe they said…”, “No, I didn’t say that!” The mental gymnastics will keep you wavering between opinions and confused in general. Leviathan’s purpose is to keep the truth hidden at all costs and for relationships to be skewed. Dealing with criticism, faultfinding, or accusation – Leviathan will use others to accuse you or criticize you to keep you frustrated and preoccupied with what you can’t seem to do. If it’s not others criticizing you, Leviathan will simply start speaking in your own voice, getting you to attack yourself out of frustration. “I can’t do this!” “Maybe I’m not qualified, after all.” “I’ll never get over this hurdle…” Whether intended or not, comments will be used to steal your identity in Christ and your confidence in your call. Forgetting Previous Victories and Promises – This principality wants you to believe that you have no history with the Lord and no reason for hope. He will cloud your mind to forget previous prophetic promises and even past victories. “Why am I doing this?” “What’s the point?” “It’s too late for me.” By blinding you to what you have already learned and gained, he seeks to make you feel vulnerable and incapable of any great feat. Gone unnoticed, you will eventually disqualify yourself for your own destiny. Focusing on accomplishments rather than identity – Leviathan wants you to get your identity out of what you DO, not out of who you ARE. He will even promote you if it causes you to operate in your gifts, anointing, and abilities, rather than by spending time in God’s presence. “You need to get something done.” “You’re not accomplishing anything” “If you just do this, it would be even better…” He will be your biggest cheerleader if he can get you to succeed in the world’s eyes but totally miss intimacy with God. Being the King of Pride (Job 41:34), he will grant you a false confidence, stripping you of your greatest weapons against him – humility and holiness. Anxiety, stress attacks, and physical problems – Eventually, your body will feel the impact of this spirit’s work in your life. Whether it’s increasing headaches, stomach ulcers, or sleeplessness, your immunity will be weakened and your perceptions clouded. “I’m just too tired.” “I’m ready to be done with this.” “I need a break.” Without your determination to set healthy boundaries in your life, he will take you down the road of busyness with no fruit, projects with no life, and schedules with no purpose. When it gets to this point, you must stop and take account before you totally burn out, break down, or blow up! Remember that the enemy can only work in your life in measure to the access you give him. Recognizing his schemes and renouncing any agreement with them is over half the battle. The blood of Jesus speaks on your behalf and the Holy Spirit is your Mediator and Counselor. Once you determine to walk in the opposite spirit and resist his attacks, you can be assured of victory. Acknowledge your weaknesses and repent for the ways in which you have agreed with Leviathan’s schemes. Repent for any family history of workaholism or need for mans’ approval. Repent for giving room to thoughts and attitudes that have empowered the chaos and confusion. Repent for any pride or need to glorify or promote self. Repent for any unforgiveness towards those who have criticized or misunderstood you. Repent for seeking the easy road of accomplishment rather than the high road of relationship. Repent in not setting healthy boundaries in your life, emotionally, spiritually, and physically. Renounce the voices (and statements) in your head and declare your detachment from them. Determine to walk in the opposite of those voices and start declaring God’s truth rather than the lies. Ask the Lord to close every door of the enemy’s access and to reveal any additional entry points. Declare your intention to take every thought captive and make it obedient to Christ. Declare that you have the mind of Christ, filled with His peace and clarity (1 Corinthians 2:16). Declare these Scriptures to seal your heart and mind in the peace and presence of God: Psalm 16:11, Psalm 31:20, Exodus 33:14; Romans 15:13; Psalm 91:1; Jeremiah 31:25; Revelation 21:6). For further study on this subject along with a detailed Prayer Guide to go through with others, go to my PDF Downloads and click on “Getting Free from Religious, Jezebel, and Leviathan Spirits”. As I went through this process these last few days, I experienced an immediate shift. My head cleared up. I began to get excited about things again and my dreams are coming back at full speed. Obviously, there were other factors that had contributed to me giving Leviathan access – mainly my undisciplined routines. I had to shut some doors to social media and purpose to feed my Spirit in much greater ways. Thank God for Fasts – they really do help clean us out! Stay tuned for additional insights and revelation the Lord is giving me for the days ahead. SO much to share, but determined to keep digging deeper and going higher. Appreciate your wonderfull prophetic ministry. All I Can Say Is JESUS!!!!!!!!! May Our God Continue To Use And Bless You! Over the top. I am 85 and still in deliverance ministry. It is so good to read and receive encouragement. Blessings on you. Awesome word, Wanda! i have a friend that the Lord gave her a word a few years ago about Leviathan and it’s workings. How can i send this article to her? She is on FB but not on 7m. Thanx! Maryann, I always post my blogs on my FB timeline and you can find it there. Also, just have her follow my blog, as well? Charisma magazine online has also been publishing some of my words lately. This one on Leviathan was just posted this morning. Hope that answers your question? Blessings! Vivian, You are a dear:-). I so appreciate your kindness and support. Honestly, I don’t do much with PayPal. If you want to give online you could do it through our church, Crossroads Community Church. Go online to crossroads winchester.com and click on “Online Giving” above the banner. Then click on “Quick Give” for a one-time donation (or you can create a log-in account for any future transactions.). When given the options, give to “Resource Books” and then mention my name in the “Special Intentions” box below it. If that’s too complicated, email me at wandaalger@ifapray.org and we can go from there :-). Bless you!